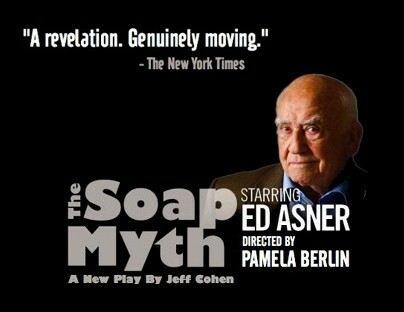 2019 Annual Campaign Kickoff: The Soap Myth starring Ed Asner | Jewish Federation of Greater Indianapolis, Inc.
Seven-time Emmy Award Winner and five-time Golden Globe Winner ED ASNER—famous for his role as Lou Grant in The Mary Tyler Moore Show and most recently as narrator of EVA: A-7063, the award-winning documentary about Holocaust survivor Eva Kor—stars in this National Tour of The Soap Myth, a play by Jeff Cohen. Tickets include a special post-performance talk-back session and dessert reception with the cast and a special guest! Ticket prices: $30, $25, or $20. Get your tickets now!